Carnival Crunch by One Hit Wonder 100ML is back in action but this time they are being re produced in a 100ML bottle size! 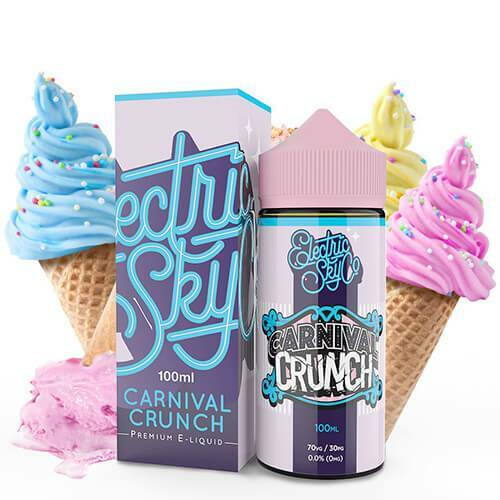 Carnival Crunch has the extravagant flavor profile of a sweet vanilla bean ice cream that has been covered and coated in fruity cereal. During the inhale you will experience a vanilla bean ice cream phenomena that is unforgettable while the exhale is a fruity cereal sensation that complements the inhale perfectly. Ill buy this again for sure. Nice sugary vanilla bean flavor.